The Cougars men’s basketball team kick started their season on Friday, Oct. 14. One, now veteran, player risked it all to earn his spot on the roster. 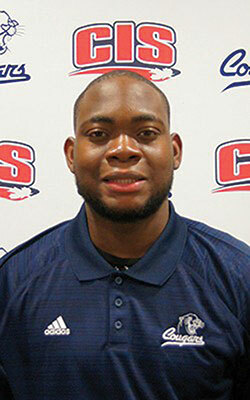 Femi Ogun moved to Canada to set the foundation for his future. “I came to Canada for school and basketball. I’ve been here now for six years,” says Ogun. The young hopeful left all of his friends and family in Nigeria to come to a new nation. He knew no one. “It took me a while to get used to that,” says Ogun. He immediately enrolled at Mount Royal University the year he arrived. This year he will graduate with a Bachelors of Business Administration and a minor in International Business. After his second year at MRU, he joined the men’s basketball team. He’s been on the roster for five years now. Currently, he’s the team’s power forward wearing jersey #1. This season will be his last. He says being a part of the team has made his experience in Canada that much more memorable. Ogun is no longer a stranger to people. He’s now known all over campus and says the process of getting to know new people has been rewarding. The player hopes to continue on his Canadian winning streak. After convocation, he is planning to go to grad school to get his Master’s degree in business.